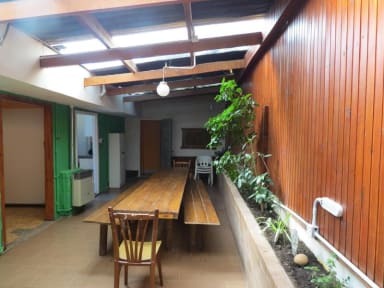 Hostel Guerrero is a 10 room property, with warm private and shared dormitories. Fully equipped kitchen, dining and living room. Shared bathrooms. Free WIFI and luggage storage. Excursions advice and helpful staff. Reception Available 24 hours. Located in El Calafate center, 80 km from the Perito Moreno Glacier, 1 km from the Bus Station and 22 km from the Airport. The Hostel is situated 5 minutes walking from the main avenue. The supermarket is located around the corner. Our rooms are warm and cosy private rooms with double beds or bunk beds. 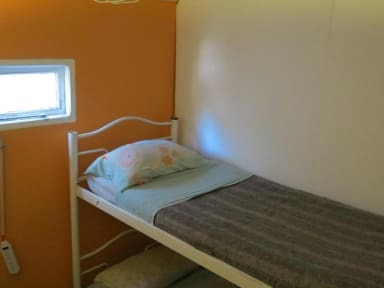 We also have dorms with bunk beds for 4 or 5 people.